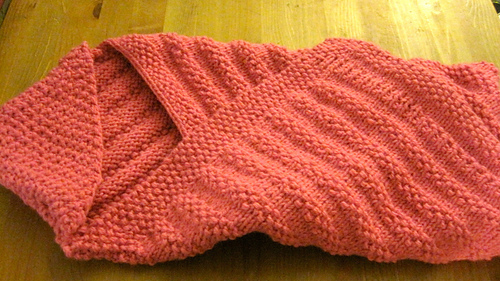 Blanket is knit with 2 strands of yarn held together. Wind yarn into 2 balls before beginning. Blanket is worked in alternating sections of seed stitch and stockinette with a seed stitch border. Hood is knit separately, sewn onto blanket to finish. 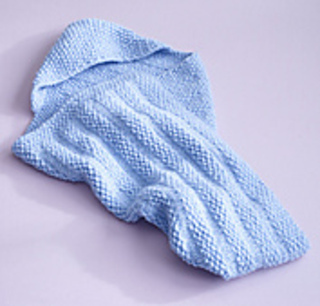 See Hooded Baby Blanket (knit) for an older version.